Well, after some big headaches try­ing to recover from a mix of my provider — Blue­host — silently updat­ing my server setup to Apache2 and my Mephisto instal­la­tion just “automag­i­cally” fail­ing with­out me doing any­thing, I man­aged to get the time and patience to refresh the instal­la­tion and now every­thing works again! My apolo­gies to the peo­ple who have tried to access some pages that became unreach­able dur­ing this period. Let’s see if I have the time and patience to keep this weblog more reg­u­larly updated. This is an inter­est­ing Busi­ness Week arti­cle that gives an overview of sev­eral pop­u­lar blog sites and how much money they generate. Google Image search has a lit­tle secret fea­ture, if you search for a per­son and add imgtype=face to the url, it will only dis­play faces! 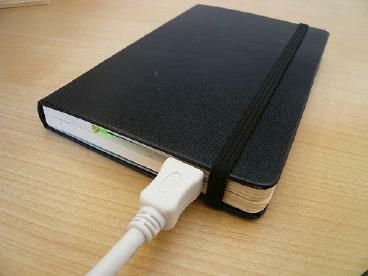 The Moleskine’s are my favourite note­books, I use them for notes, draw­ing and one is always with me while traveling. Recently I found out a great site where peo­ple can list the appli­ca­tions they use, iusethis.com. It’s a bit like the con­cept of Digg applied to appli­ca­tions. Each appli­ca­tion has a badge show­ing how many peo­ple use it, cou­pled with a descrip­tion and even­tual com­ments from users. It is now a uni­ver­sal binary and has a resiz­able board. Source code is avail­able at google code, check it out if you’re into it. After more than 50 000 down­loads and 4 years of devel­op­ment inac­tiv­ity, I’m work­ing on a small update for MacI­ago. This new ver­sion will have the choice sev­eral board sizes and a slightly improved arti­fi­cial intel­li­gence. I’m also plan­ning to release its source code. This game was orig­i­nally meant to help me learn Objec­tive C, and I never thought it would become as pop­u­lar as it did. It got trans­lated in 7 lan­guages, and it became spe­cially pop­u­lar in Japan, closely fol­lowed by the US. For this new ver­sion, I’ll again need a cou­ple of strings trans­lated, so if you would like to help, please send me an email.